I'm not going to sugarcoat it: the world is a weird, scary place right now for a lot of people (to put it mildly). 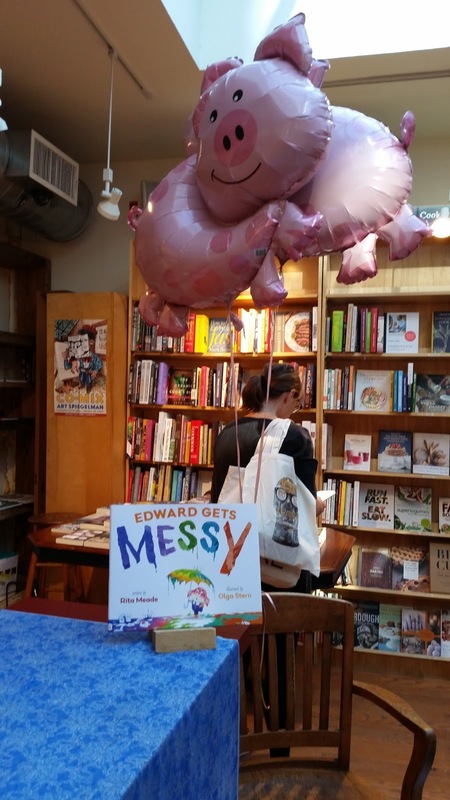 I'm thrilled to have published Edward Gets Messy, but it's honestly a bit strange to be promoting a kid's book during this time, because it feels self-important and almost a little crass when there are so many bad things happening all over the place. Like, "sign this petition to stop this particular human rights disaster, but also BUY MY BOOK!" It's hard to keep perspective about any one thing. However, I was reminded of something (something that I am always aware of, but don't always feel in a tangible sense) when doing my first big school visit as an author a couple of weeks ago. I was reminded that books ACTUALLY CAN provide hope and inspiration or at the very least spark conversations that leads to these things. 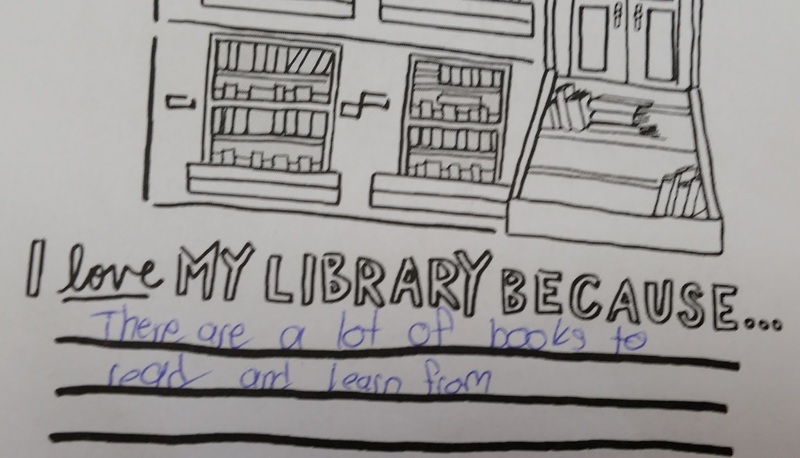 For me, talking to kids about reading and writing was a way to get a handle on things at the ground level while still being able to look at the bigger picture. After all, our own problems (as well as our dreams, passions, and aspirations) don't go away just because there are other problems in the world. All we can do is deal with them, help other people, and try to make the world around us a better place as much as we can. So when I spoke to the students at this school, I was heartened by stories of their creativity, their own wishes to write a book someday, their love of art, and even the things they used to be afraid of and are not afraid of anymore. 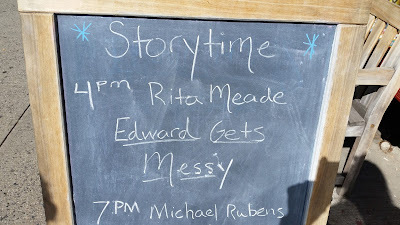 In this context, these discussions stemmed from talking about Edward Gets Messy and it's my hope that the kids came away from the presentation with a sense that they can someday be who they want to be and that they have the ability to create beauty in a world that is not always beautiful. 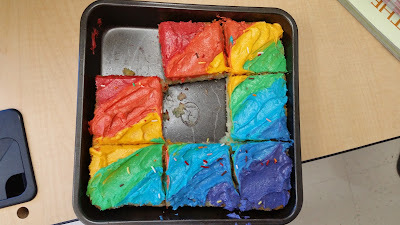 Some of the teachers told me that I inspired the kids, but really it was the other was around. 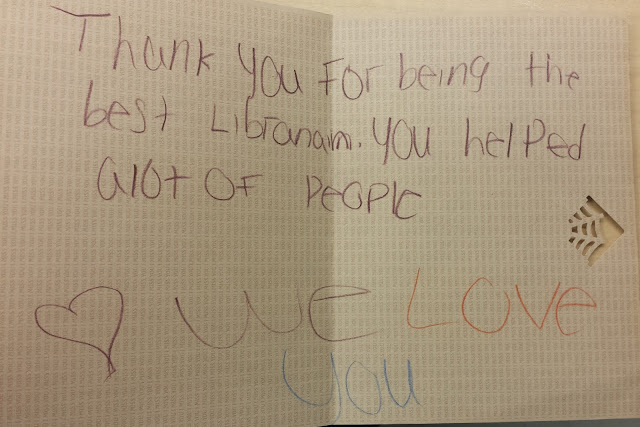 Thank you, kids. 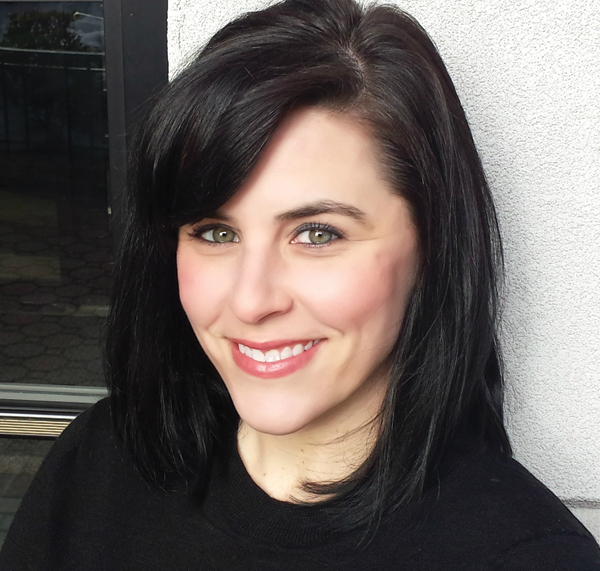 "Local Author Comes back to Northport!" "Read All About It: Persnickety pig loosens up in ‘Edward Gets Messy’"
"The book jacket for 'Edward Gets Messy' states that this is Rita Meade’s first picture book for children. She is a public librarian living in Brooklyn, New York. Here’s hoping she picks up her pen again soon for more adventures with Edward or some totally new tale." Here's to hope in all shapes and forms, my friends. To follow up on my post from Halloween - this is ALSO the best thing ever. (More than one "best thing ever" can exist in the world, right?) Last week, Sesame Street used my library branch as a location for a photo shoot with local families and staff with their kids. 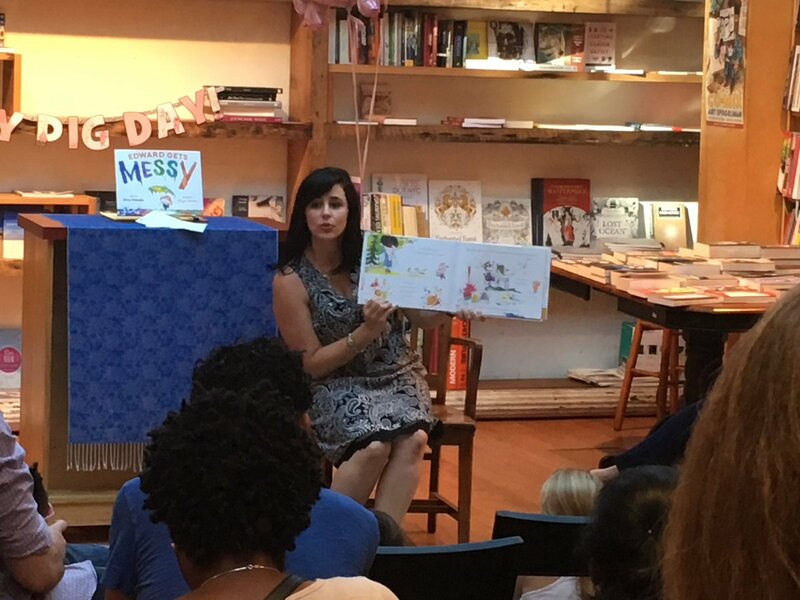 My wonderful BPL Robin colleague attended with her adorable son (below) and while they were waiting for their turn, they started reading Edward Gets Messy at one of the tables. 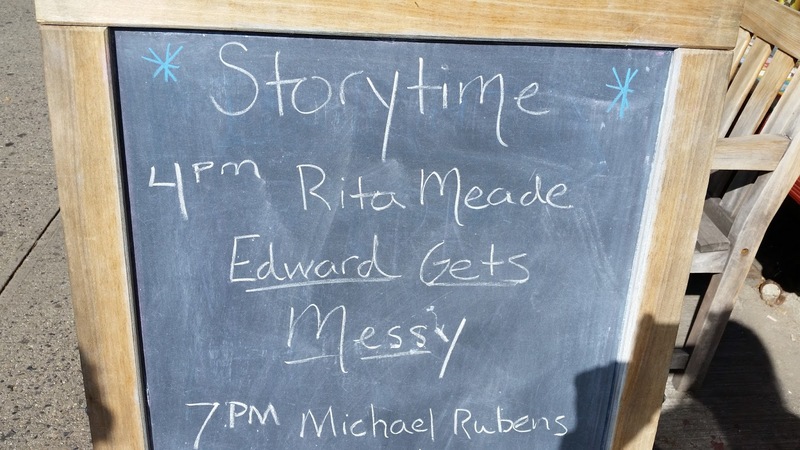 At that exact moment, the actual, "real-life" Elmo came over to their table and started READING EDWARD GETS MESSY WITH THEM. (I have a video of this, which I'm not allowed to share, but, once again, it's the coolest thing EVER.) 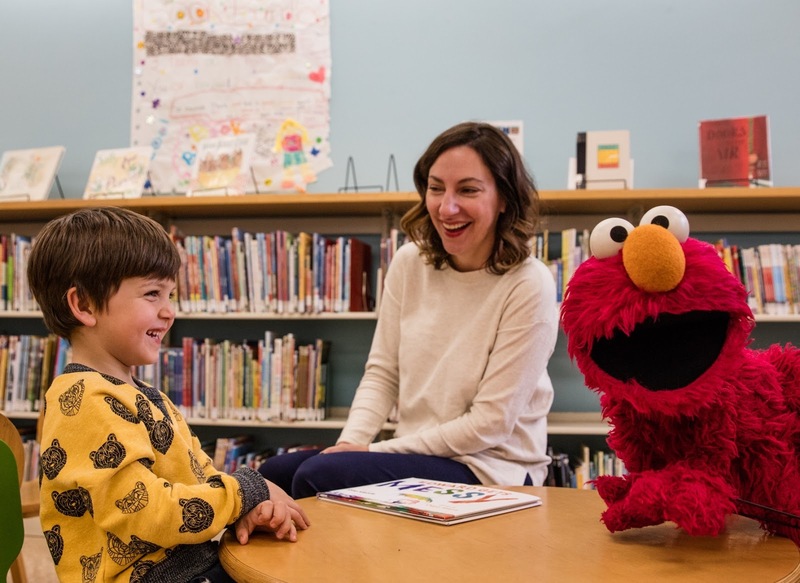 I'm not sure if "Elmo reading your picture book out loud in the library" can be considered a life goal, but if it is, I'm thrilled to have achieved it. 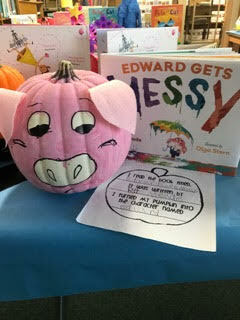 A kid had an assignment to decorate a pumpkin as her favorite book character and she chose Edward from EDWARD GETS MESSY! Happy Halloween to me! Hello! I hope you have all had a wonderful summer. It's been busy here in Brooklyn, but I wanted to share with you some fun publishing-related things that have happened in the past few months/will happen soon. 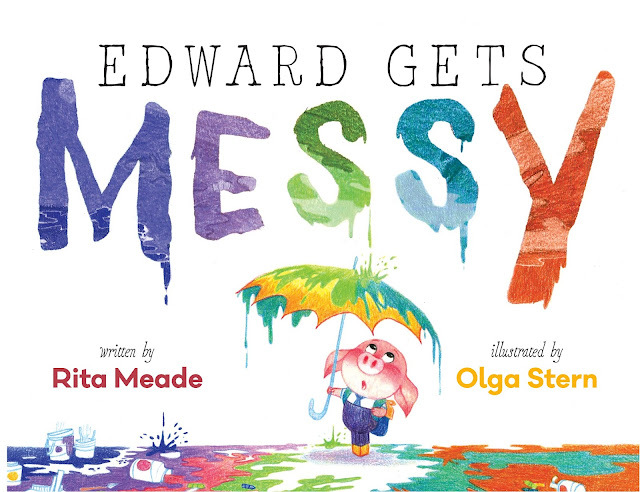 So, Edward Gets Messy, the picture book I wrote (which was illustrated by the glorious Olga Stern and is being published by Simon & Schuster Books for Young Readers) comes out ONE WEEK FROM TODAY. Needless to say, I'm very excited and quite nervous. I can only imagine that this is what it feels like to prepare for childbirth, except without all the diaper-buying and abstaining from wine (thank goodness). I wanted to share a few nice reviews that the book has already gotten, and let you know about my book release event, should you find yourself in the NYC area next weekend. 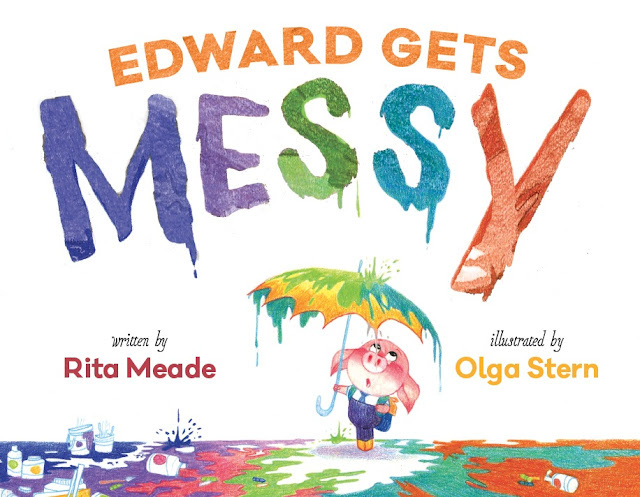 First, School Library Journal amazingly chose Edward Gets Messy for their August Popular Picks feature, saying "This debut title is a delightful tale and a storytime winner." I really could not ask for a better review, as I wrote this book with the hope that it would be read with and to kids for an interactive experience. SLJ was also kind enough to do an interview with me about Edward and why I wanted to tell this story. Thank you, School Library Journal! Side note: I don't think I've shown you my author photo yet, so here it is! Thank you to my wonderful husband Michael for managing to not make me look as tired as I feel. Lastly, I'm having a book release party at the wonderful BookCourt bookstore in Cobble Hill, Brooklyn on Saturday, September 17th at 4pm. 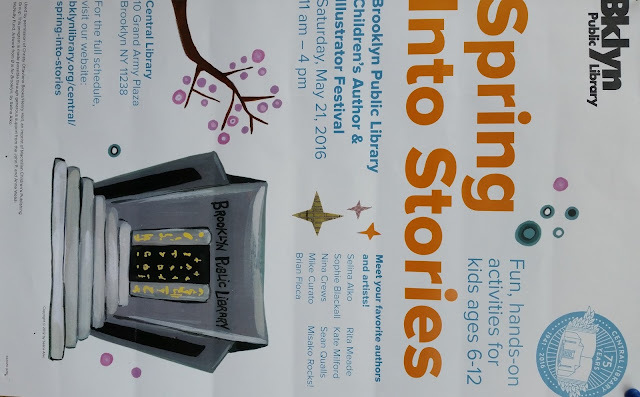 If you're in the area (perhaps in town for the Brooklyn Book Festival? ), please stop by! We'll have some refreshments, share some stories, and reflect on our love of all things porcine. This has been a really rough week for our nation and also for me personally (although things on that front are better now - I'm not sure I can say the same thing for America). There are many things to read out there at the moment that are powerful and important, but since I'm a librarian and this is a mostly library-related blog and I found this piece really uplifting, I wanted to share it with you. 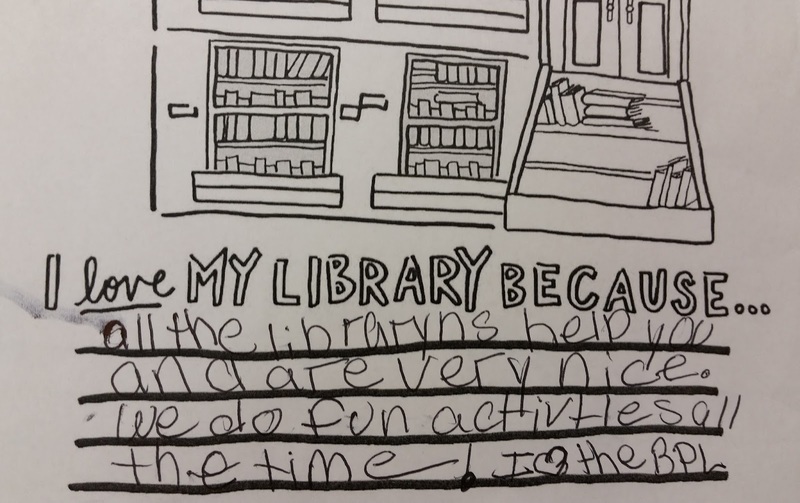 "I feel like today more than ever, the Library reminds us that we can work together. We have this place in each of our communities that stands up proud and tall and invites everyone in to be fed emotionally, intellectually, and yes sometimes literally." It's Not Too Late To Advocate! Forgive my cheesy title rhyme, but it's that time of year again! 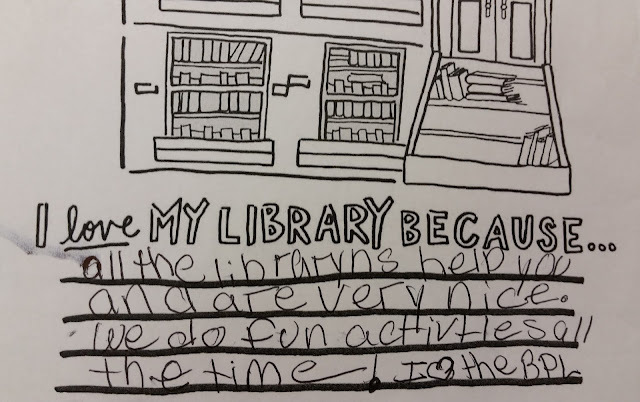 Library advocacy season is in full effect, and as always, NYC libraries are seeking support in order to continue providing essential programs and services to our communities. If you're a New Yorker, you can send a quick and easy email to your local politicians by clicking on one of the links below, depending on your borough. 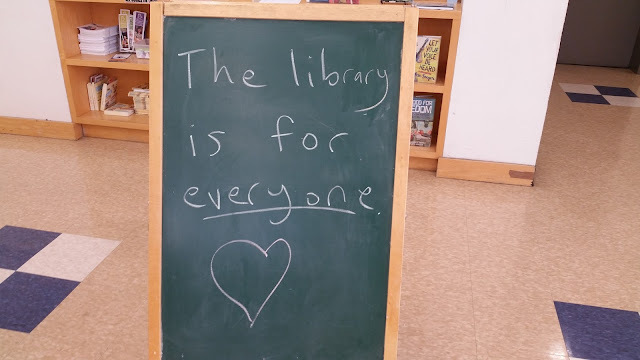 It's a very simple yet effective way to show that you think libraries are important! 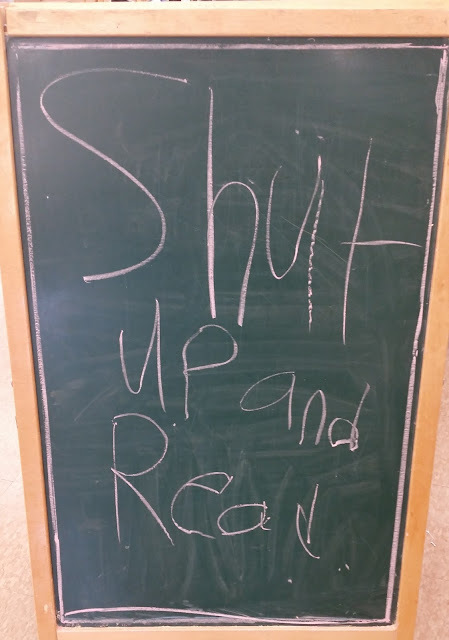 If you don't live in NYC, I encourage you to seek out advocacy opportunities for your local library - there's always something you can do and no action is too small. To illustrate why it's so important to speak out for libraries, I thought I'd share some of the notes kids at my branch have been writing over the last few weeks - kids always seem to say it best. 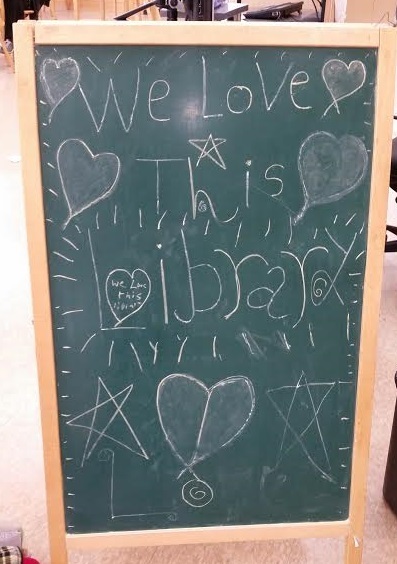 Thanks for loving your library, everyone! "Ms. Rita, can we write something on the board? "Do you like what we wrote?" YES, KIDS. YES I DO. Some class visits are smooth as pie. 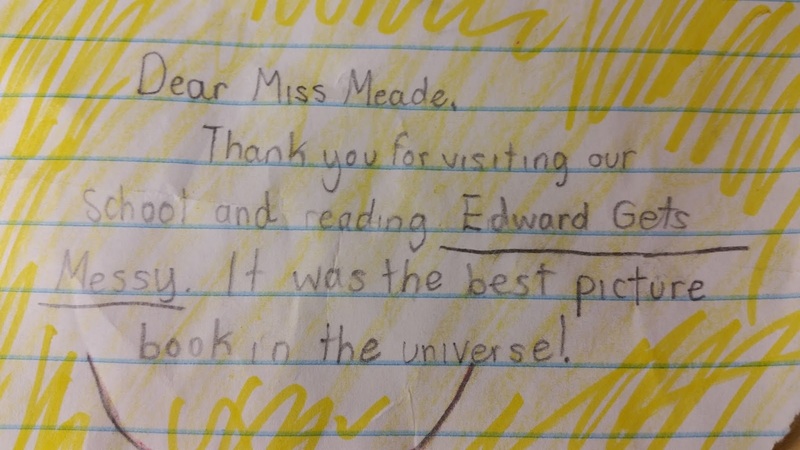 Some class visits make you want a nap, a drink, or a good cry afterwards. For a number of reasons, today's visit was the latter. It wasn't anyone's fault, it was just one of those days where everything possible was going wrong. "You look like you're from England." 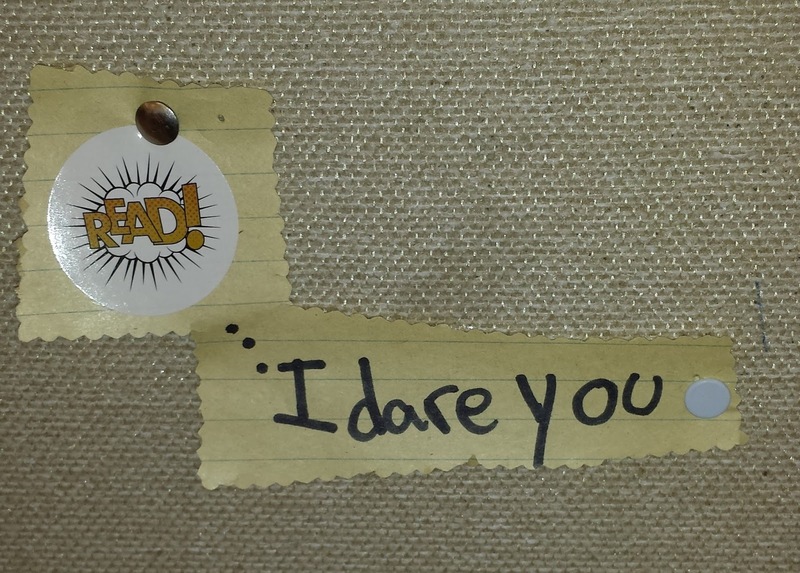 "I'm going to tell my teacher that you're funny." "Your hair looks better not in a ponytail. If you have it down you look like Barbara." (As I was about to start reading a book to them): "Can we just get this book over with?" 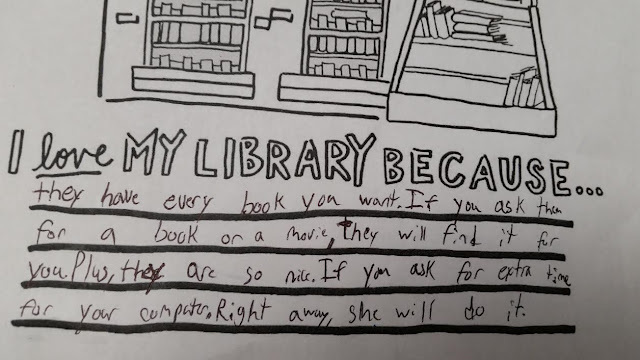 (After I read the *book): "I love that book!" "Who is your husband? TELL ME!!!" 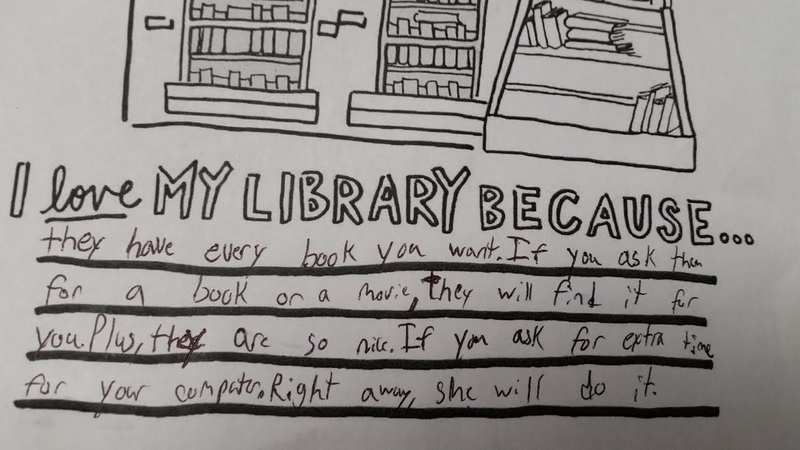 "Thank you for finding me the best book EVER." I guess it all worked out. 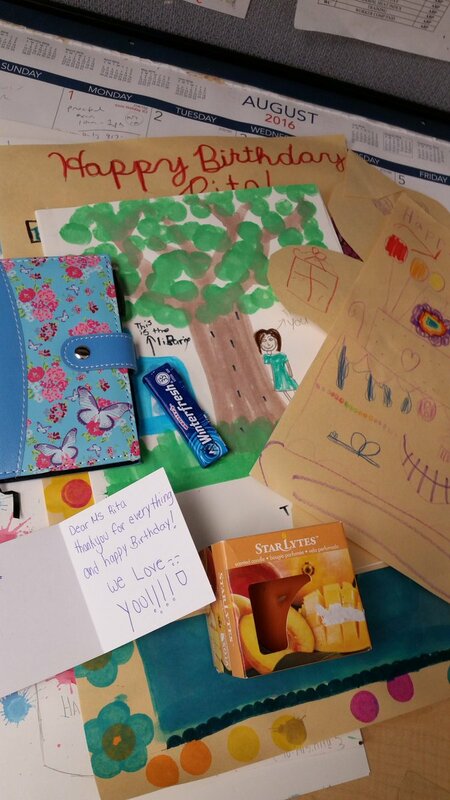 Yesterday my fantastic co-worker Katya did a program with the kids called "Messages of Love" where they were given paper and color pencils and could write a nice note to anyone they wished. It was a very positive and uplifting event and the kids had fun running around giving notes to each other and making them for friends and family members. 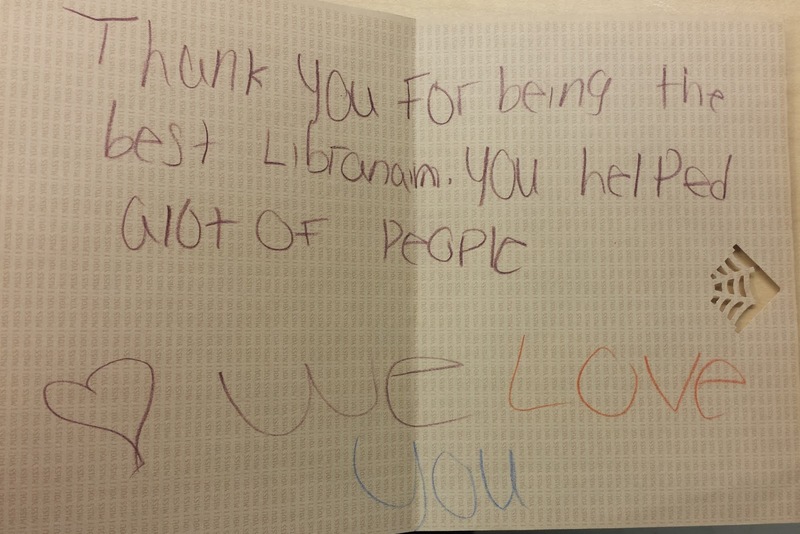 To my delight, this note was handed to me (and just so you don't think I deserve all the credit, it was addressed to "All the Librarians"). 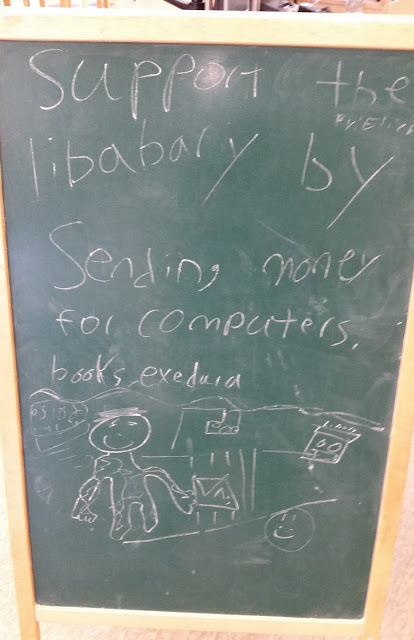 Edward Gets on the Internet! I really appreciate all the well-wishes and good thoughts and I'm excited to share more with you in the upcoming months. Thank you so much, everyone! *UPDATE: you can find pre-order info and more here! Woo hoo! Book news! Book news! Book news! Okay, sorry, I'm a bit excited. But...BOOK NEWS! So, some of you may know that I sold a picture book manuscript to Simon & Schuster Books for Young Readers in June of 2014 about "a very particular little pig who likes things to be just so...until his need for neatness causes him more trouble than good." I cannot even tell you how thrilled I am with the way the illustrations turned out - Olga did an amazing job with the story and I hope you all will love Edward as much as I do. Thank you, Olga! The book will be published in September 2016, but the pre-order information will be available soon. I'll post the links here, so stay tuned! Many special thanks to my fantastic agent Brooks Sherman and the whole Bent Agency, and to the amazing team at S&S BFYR including my incredible editor Kristin Ostby, the wonderful art director Lucy Ruth Cummings, and editorial assistant extraordinaire Mekisha Telfer.